Here we are…the end of the Bride Blog series! It’s been lots of fun, mainly because it meant I got to marry my best friend and begin the most exciting journey I’ve ever been on, but also because it meant interviewing tremendously talented people, sharing tips I gathered from wiser souls, and the inevitable ooh-ing and aah-ing at lots of lovely stuff! You can check out past posts here. I typed these final 10 wedding-day tips just after we got back from honeymoon but before getting to them, three months and 3 days further down the line, I want to say two things: THANK YOU to everyone who followed and commented on the series, to the wonderful contributors for their time and insight, and to every lovely person who was involved in our wedding. The day itself and the journey to it were fantastic and we really savour the memories now. And then to any future brides and grooms who stumble across it in various states of calm, panic, excitement, dread, etc… YOU’RE GOING TO BE OK! 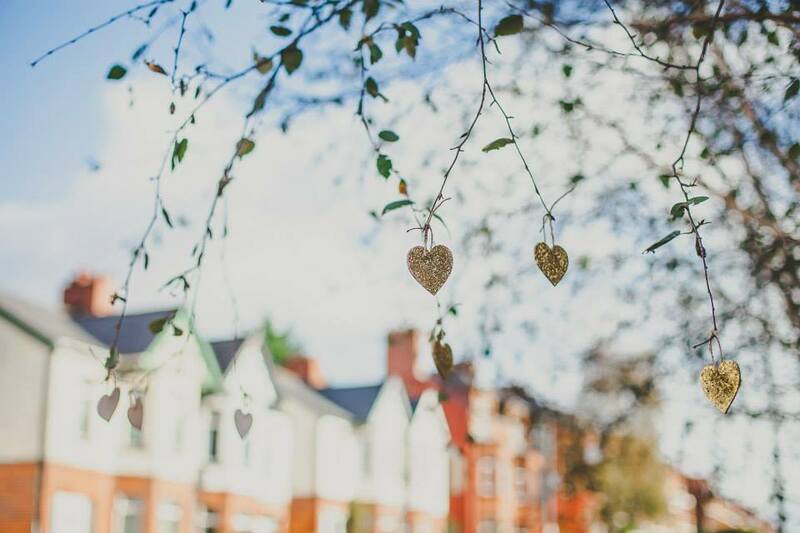 Please please please choose to focus your energy on the things that truly matter to you, accept lots of offers of help, and do what you need to do to be able to enjoy the process and your wedding day. In the rhythm of waiting, there is precious time to prepare for something extraordinary (as much as you really can!) I promise you won’t be sitting regretting your choice of flowers or the table plan even an hour after the wedding, so relax, take a deep breath, and go DO THIS THANG. Ahem. Anyway. Ten tips before we say goodbye. 1. Make a wedding schedule. It’s a great idea. 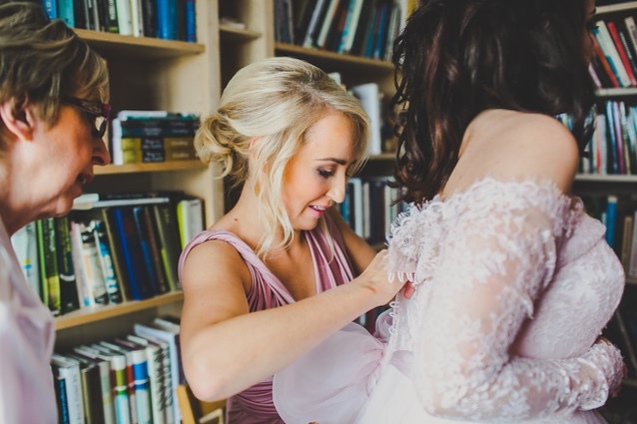 It was helpful to the bridal party and to vendors alike, and whilst you don’t want a wedding to be clinical, it helps to have a good structure to the day. I started putting one together about a month before the wedding, and everything was in it – times for vendors arriving, times to leave places, etc… There were several ‘catch-up points’ with an extra 30 minutes added in because inevitably, things run over…it’s your wedding so that’s OK! 2. Trust your vendors. Don’t smother them. You’ve carefully picked them because they are good at their jobs. Now let them do them! 3. Finish DIY projects a month before your wedding. No one wants to be covered in glitter on the eve of their wedding. Not even me. 5. Don’t stress about stressing. You’re trying to pull off a pretty major event with lots of people involved, lots of people attending, and it is a symbol of a huge decision you are making. It’s OK if you feel overwhelmed or stressed. If you do, don’t put pressure on yourself to be OK right away. Ride the wave. And don’t be surprised if stress comes out in really random situation. A hair trial gone wrong saw my first wedding-related tears. Hair, really? 6. Say thank-you. People will be SO generous to you. Write thank-you notes as you go. This will be fun for a number of reasons…you get to make contact with guests before the wedding, they feel appreciated, and you don’t come back from honeymoon to the threat of arthritis. 7. Pick your conversations. On the day itself, you won’t have time to have meaningful conversations with everyone who comes. This is an introvert’s idea of a nightmare. I found having a mental list of people I hadn’t met from Dan’s family, people I didn’t see often, or who had been through difficult situations recently helpful so I knew to prioritise speaking to them. Others understand and you’ll have plenty of chances to catch up after the wedding. 8. Don’t be someone else. Most of us have ideas of how we’ll look on our wedding day. Going through Pinterest and getting to be pampered/buy something more expensive than you’d usually get to is very exciting. But make sure you feel comfortable. Don’t go for a totally different look. For example, I have a pair of bright pink Tophop wedges that I LOVE and that happened to be the same height as my wedding shoes – once we got photos done, I popped them on and enjoyed the familiarity (hilariously these WERE caught on camera! See below). Similarly, my make-up was a better version of what I usually do myself: we tried some very different ideas but ultimately, YOU are getting married…don’t listen to the voices telling you you need to look like her HER. Whoever she is. 9. Carve out down-time during the day. It’s a whirl of hairspray, giggles, polite posing, HUGE LIFE MOMENTS, eating, music, hugs, family, friends, flowers, newness and nostalgia, and if you’re like me, you like to take these things in privately as well as with people. Of course you can process after the wedding, but we found a quiet ride from the church to the reception was helpful in providing a bit of breathing space – and time to munch on our favourite Swiss chocolate. Also though, I found it helpful to ear-mark particular moments I knew I would want to remember: seeing the bridesmaids for the first time, walking down the aisle, saying our vows, holding hands as a married couple for the first time, etc… Thinking about them before they happened helped me take them in. 10. Look over your vows before the ceremony – a week before, during the rehearsal, whatever. Drinking them in before the ceremony made the ceremony all the more meaningful. And if I may allow myself to repeat something I’ve said before…in the lead-up, prepare for MARRIAGE way more than you prepare for your WEDDING. ← QUIET – an introvert’s permission to breathe.